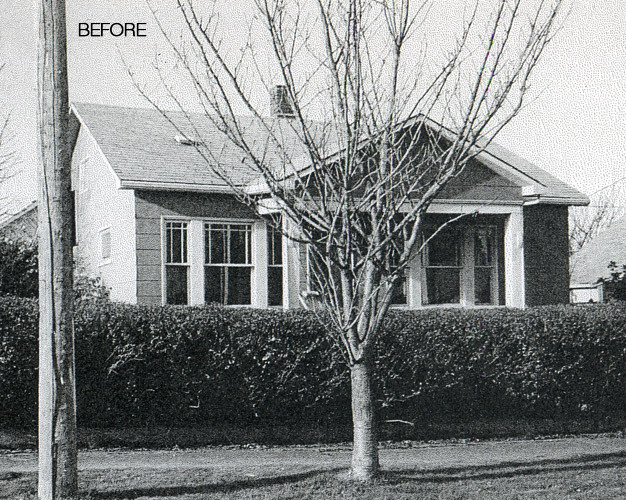 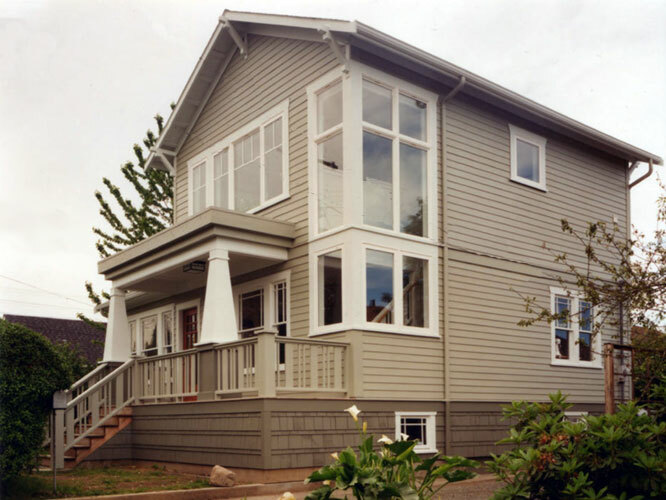 This is a second story addition to what was a tiny, one bedroom house in West Seattle. 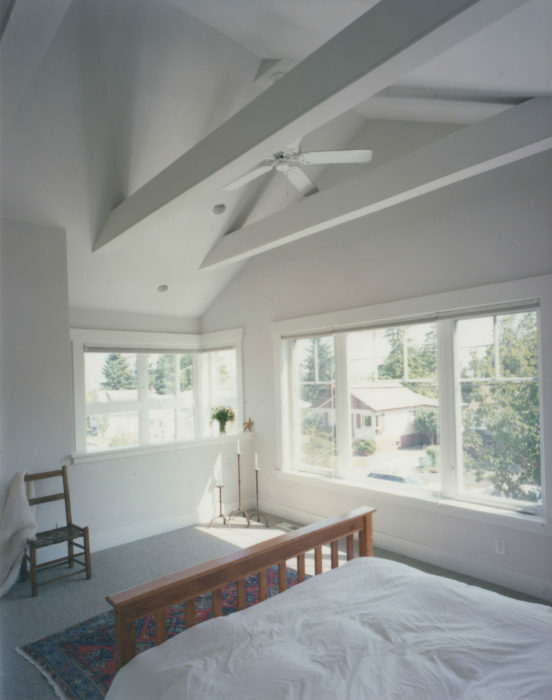 A new upper floor contains a master suite plus another bedroom, freeing the main floor spaces to become more gracious social rooms. 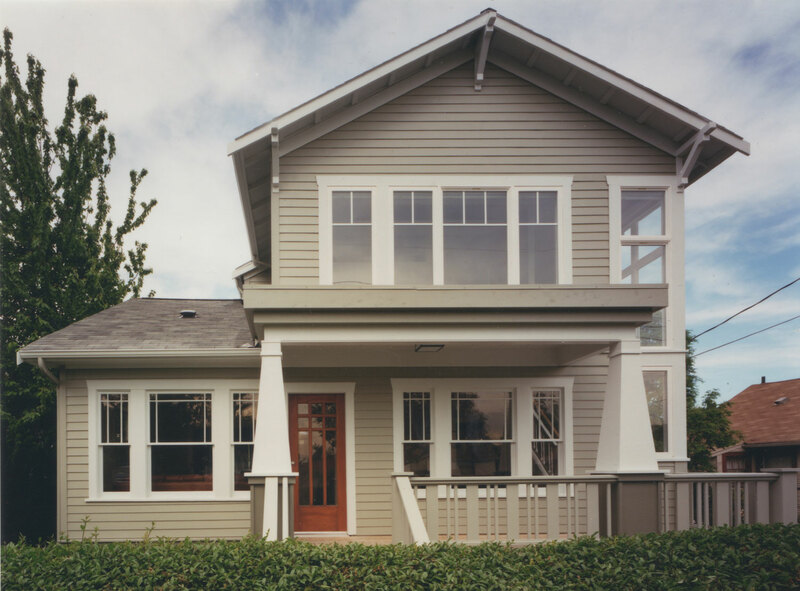 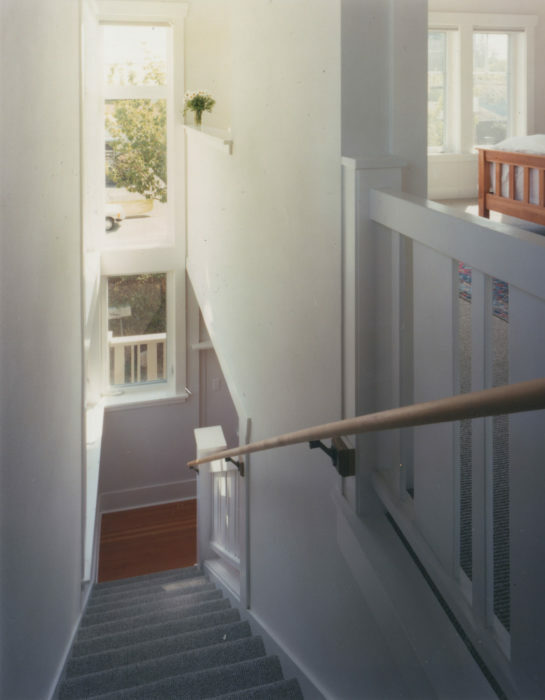 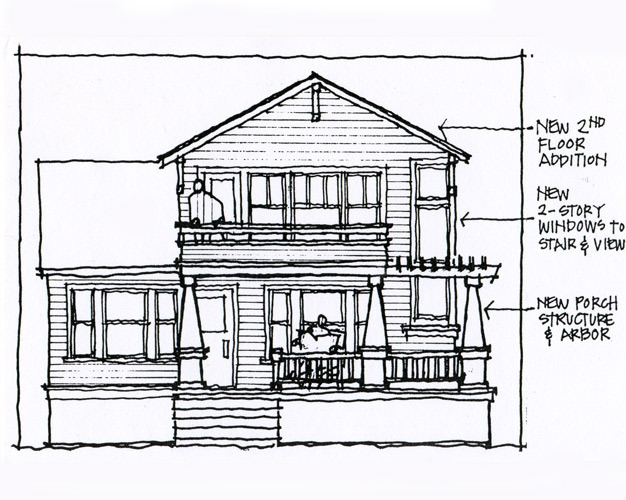 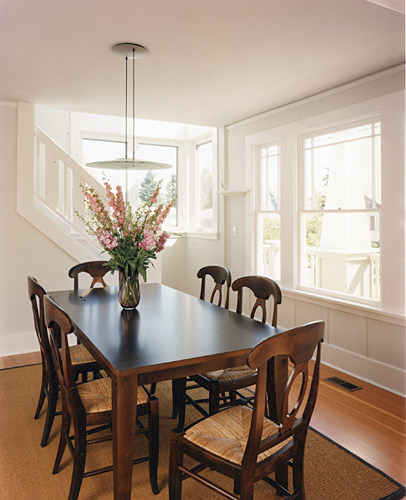 The new design enhanced the hint of “craftsman” that the original house conveyed, yet introduced a contemporary feel, introducing lots of light and openness to a spectacular view of Elliott Bay from the big corner window.